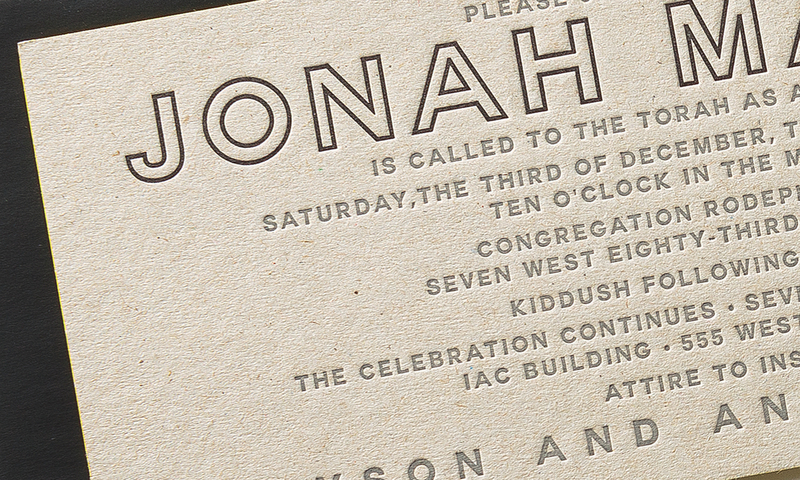 This Bar Mitzvah invitation is letterpressed on recycled board for a simplistic look. 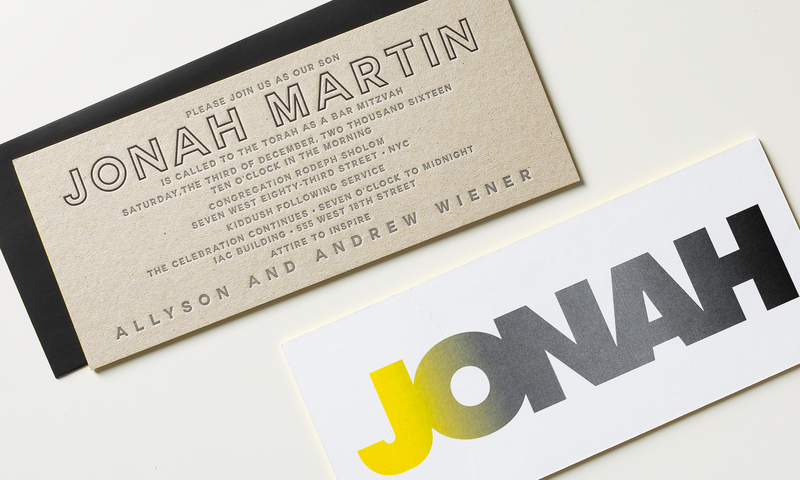 However, thanks to the gradient on the reverse side and the yellow edging, it adds an unexpected twist of color. This Bar Mitzvah invitation can be customized with any color or can be made more feminine for a special girl.